In our daily life we register lot of domain names. We daily finds the new domain name and we check then we found that it is available then immediately register it and we makes our domain name portfolio very large. It becomes very hard to manage a large portfolio. Sometimes for some of reasons we need to delete the domain names from our portfolio. 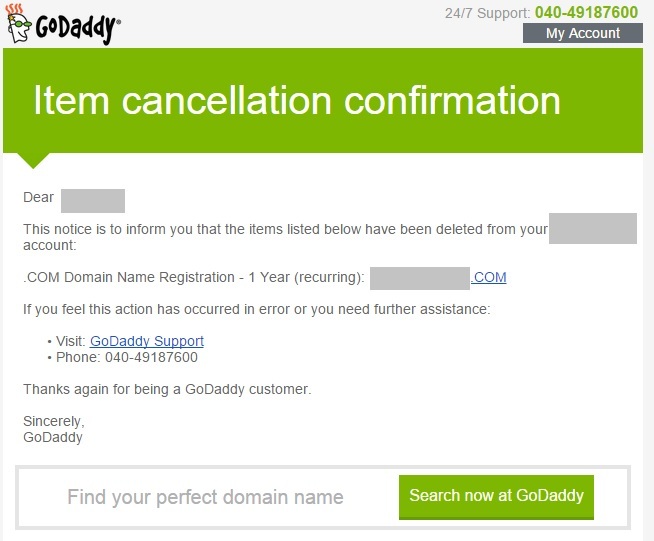 Sometimes we register domain names that seems to us very impressive at the time of registration but later on after couple of month we found that no any offer was received after doing lot of work for your domain name. even we found that appraisal value is also no so good. There is no meaning of that domain name. Thus a domain name having these kinds of property is called the Crappy Domain Names. We need to delete time to time these crappy domain names to manage our domain name portfolio. After registering a domain name if we found that this domain name somehow is having trademark infringement than we need to delete this domain name immediately. As we have seen in both of the cases we need to delete a domain name from our domain name portfolio. 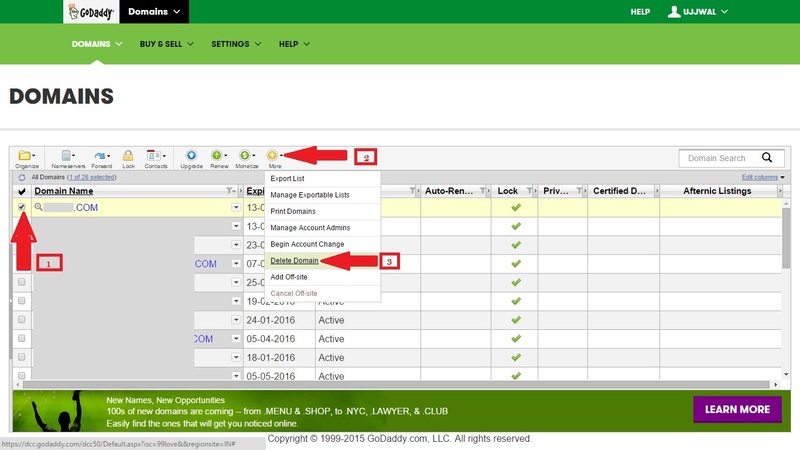 (1) Login to your Godaddy account. 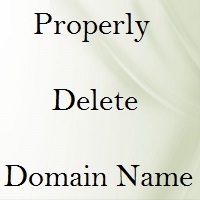 (3) Check mark your domain name which you want to delete. (6) Then the button “Delete” below in popup. (8) A conformation email will send to you. After deletion you also have some days period to undo this delete action. After this time your domain name will appear again in available list of domain name registrar to register again. 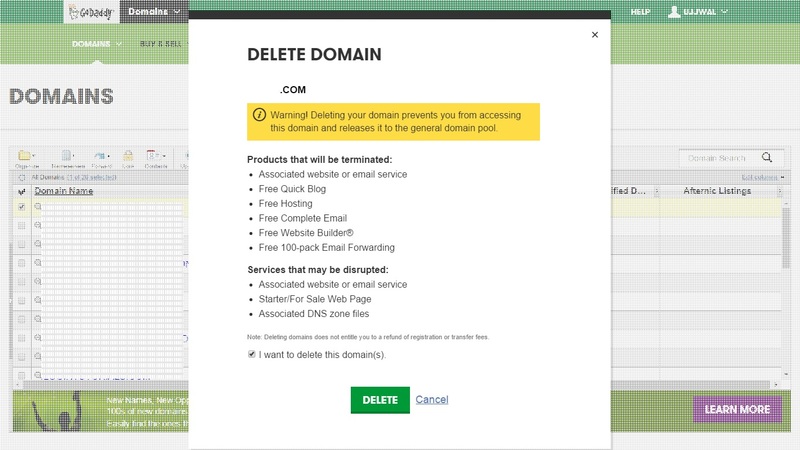 Thus this is the process to properly delete domain name registration.